First, we will provide you with a cosmetic consultation. During this visit, we will thoroughly examine your teeth and gums to analyze any potential problems either cosmetic or otherwise. 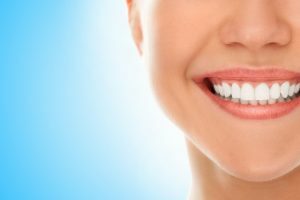 If you require restorative care, we may incorporate that into your treatment plan – this type of care may take priority over cosmetic, so we may ensure your smile is healthy before we make esthetic improvements. We will speak with you about the things you like and dislike about your smile, while defining the particular changes you would like to see. If you suffer from a discolored smile, we may suggest teeth whitening. This cosmetic treatment will remove yellowing or darkening that has resulted from aging, tobacco use, or the consumption of staining foods and drinks. You can expect a dramatically whiter smile. Veneers cover a long list of problems, creating a beautiful, natural façade over your natural smile. You can improve cracks, chips, tooth size, tooth shape, whiteness, and you may fill gaps between teeth. Dental Bonding: Bonding is an additive cosmetic treatment. This means we will place “additional tissue” composed of composite over areas of your teeth as needed. This may include repairing chips or cracks, covering stains, or filling spaces between teeth. Contouring gently removes tiny amounts of tissue from your teeth to improve their appearance. You may smooth sharp edges, points, or rough borders. We can also shorten teeth that are longer than their neighbors. At DentaCare Dental in Tyler, we focus on advanced technology, education, and comfort to offer every patient a pleasant experience and excellent dental care. To schedule a consultation, call our Tyler, TX office today at (903) 215-8223. For optimal convenience, we also serve patients at our various other locations in Garland, Longview, and Arlington, TX, as well as Bossier City, LA.